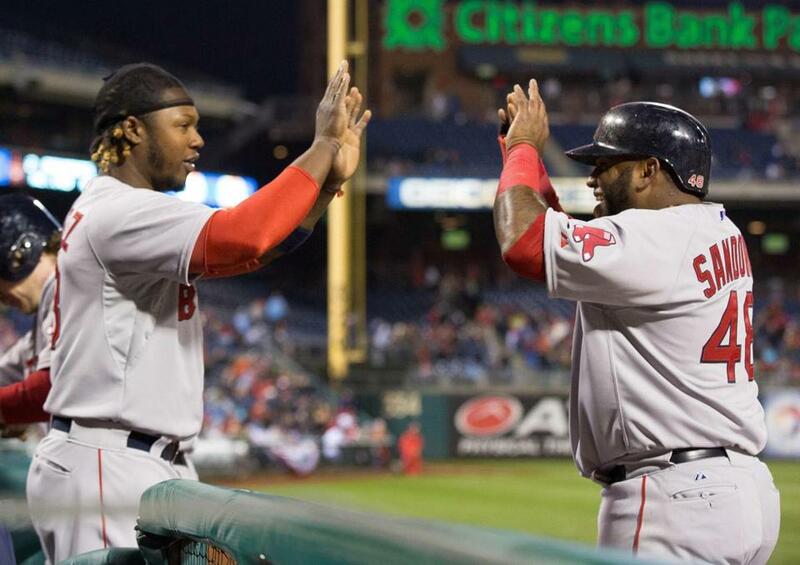 Can the Red Sox salvage Hanley Ramirez and Pablo Sandoval? Given their dismal performances this year, a central question confronting the Red Sox this offseason is whether Hanley Ramirez and Pablo Sandoval are salvageable. The Red Sox signed Pablo Sandoval to a five-year, $95 million contract in the offseason as a response to what former GM Ben Cherington described as a two-year black hole at third base. The black hole hasn’t gone away. Indeed, as Jason Mastrodonato notes, by Fangraphs’ Wins Above Replacement, Sandoval (-1.9 WAR), who is currently sidelined by an upper respiratory infection, now grades as the worst position player in the big leagues. Given their dismal performances this year, a central question confronting the Sox this offseason is whether Sandoval and Ramirez are salvageable, and whether a meaningful uptick in performance might be possible next year after this year’s black-hole performances. For context: In the last five years, Ramirez and Sandoval would have two of the worst nine WARs since 2010. How did the players who posted the worst 10 position player WARs of the last five years (2010-14) perform the year after they cratered? Here’s a look. So, it’s certainly possible that Sandoval and Ramirez can return to productive levels, just as Morales, Dunn, and Kotchman did. Still, precedent suggests there’s no guarantee of a recovery by either player.